TORONTO, ON – Bandit Brewery has announced the release of the latest in a series of barrel-aged blends. After many months allowing for wild fermentation in the barrels, one of the two sours used for Elements #3 had a strong, pleasant lychee aroma. We decided right away that this characteristic of the beer was something we wanted to lean on, but by blending it with the other sour we uncovered a better balanced beer. The second sour provided a crisp, light acidity that toned down some of the sweetness in the first beer, resulting in a subtly well balanced beer with a sweet lychee-like aroma, which gives way to hints of blue cheese and toasted hazelnuts. The final beer has strong aromas of Brett, Lychee and chardonnay and has a crisp, dry finish with a moderate bitterness and a white wine like acidity. 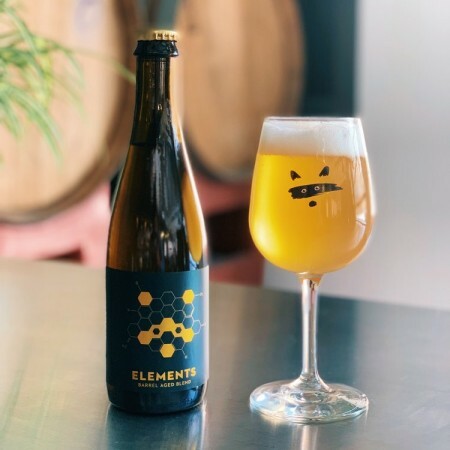 Elements #3 will be released today (March 29th) at 5:00 PM at the Bandit brewpub and retail store.